With our connectors, you can import your customer and receivable data (open invoices, credit notes, ...) in a simple and automated way! 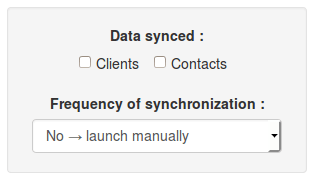 Validate, then the synchronization is performed and your Salesforce data are now in My DSO Manager! My DSO Manager is now connected to QuickBooks!